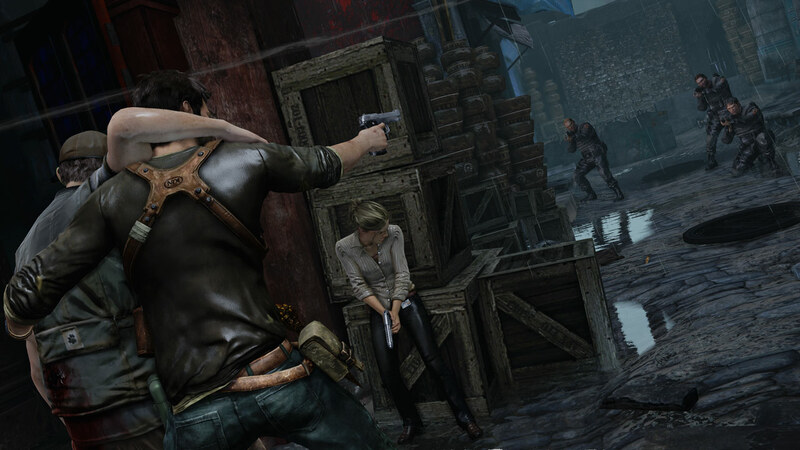 I’m enjoying Uncharted 2: Among Thieves | Tales From The Ipe! Back on Dec 19th, my friend Reeba got me Uncharted 2: Among Thieves (on recommendation by my dear wife) for a Secret Santa gift exchange. 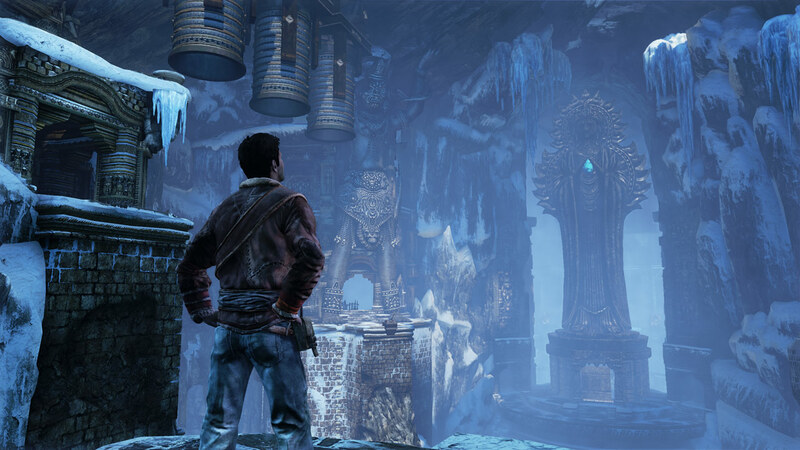 Since Dec 20th, I’ve been playing maybe an hour or so of Uncharted 2 on the Playstation 3, give or take. Some days, I play two or more hours, while some days I don’t play at all. Am I in college with free time to play hours a day? No. Do I have an HDTV to enjoy the fine graphic detail? No. In spite of it, I have to say that every game review is right on the money. This game is friggin’ amazing. It has to be one of best games I’ve ever played. The storyline is straight out of an action movie, the protagonist (Nathan Drake) is supremely identifiable, the acting is top-notch, the visuals are stunning, the story is entertaining, and the music is enjoyable. I love this game , because I am having so much fun with it. Yes, you can get slightly frustrated at times, but not due to deficiencies in the game itself. There are some events and scenes where the goals can feel slighly impossible as you die over and over again. When you get past it, and you eventually will, you feel great. Furthermore, as you play, even though you are struggling, you are awestruck by what you’re trying to do — trying to outsmart the tank chasing you through a village, a firefight through the aforementioned village, fighting and maneuvering a moving train, or jumping from truck to truck in a convoy while battling soldiers shooting at you from other moving jeeps. The ancient puzzles to solve, as well as treasure hunting, and feats & trophies to accomplish and win make it all the better. I gotta mention the train. In two consecutive chapters of the story, you jump onto a moving train, and must slowly make your way to the front of the train, in order to rescue a friend. You will fight soldiers within and on top of the train, using stealth, hand-to-hand combat, or a myriad of weapons you pick up from the foes you kill. Meanwhile, this train is travelling at full speed through absolutely stunning landscape that looks so realistic, you wish you could just sit on the train and watch the scenery. I’ve embedded a portion of the train chapter below (a rather harrowing portion of the story, let me tell you) from Youtube. Watch it full screen, and hit the HD button. It’s sweet. I’ve now posted video and pictures here, but if you want to see more, check out the website above for the trailer with actual gameplay. You can click any of the photos here to see larger screenshots of the game in all it’s glory. 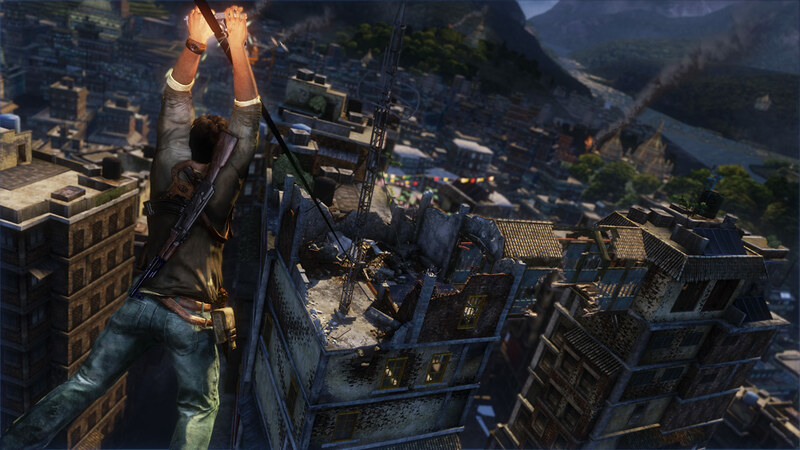 It’s a phenomenal series, and Uncharted 2 is a great addition to any collection. There are just so many times while I’m playing that I just say to myself, “I can’t believe what I’m doing now.” When you play, you just feel like Indiana Jones. Nums & Reeba, thank you so much! This entry was posted in Entertainment and tagged nathan drake, playstation 3, sony, uncharted 2: among thieves, videogames. Bookmark the permalink.